This novel was sent to me by Bloomsbury Publishing Australia two months prior to it’s UK release on February 8th 2018, in exchange for an honest review. I am very grateful to have been chosen to review this book. I honestly do not know what to say in this review, other than I loved this book so so much though it wasn’t perfect, it was engaging, captivating, and oddly haunting. How pretty is the above cover!? If you looked at the post header, or follow me on Instagram, you would know that the book I received from Bloomsbury publishing is GOLD! It is so so pretty but OMG I really want to pick up the book with this cover too! This book is like the time I drank my first cup of coffee. The first few sips were bitter, but as I drank it I warmed up to it and skulled it down, then craved more once the mug was empty. The Wren Hunt started off confusing and foreign, and I had no idea what was going on or where the book was going to lead, but it was intriguing. It is at this point you should know that I go into all books without knowledge of the storyline; but I had made it almost 2 chapters into this novel and needed to consult Goodreads to read over the blurb, to actually put some direction to the novel. As I continued on, The Wren Hunt became an addiction. A slow blooming one that haunted my dreams at night, and began to flit across my vision during the day. The character development was exceptional, and the way each and every person – or in some cases, groups of people – were connected to the land around them almost gave me chills. This wasn’t a nature loving novel, rather a story of two particular groups of people who both live off the lands magic, and neither want the other to be in control of certain parts of land. I loved the characters!!!! There wasn’t much development of characters, which was substituted with the blooming of characters. Where readers see all characters at the beginning of the novel as two kinds of people: strong/ scary and weak/ hidden. Though as the story progresses, readers begin to get glimpses beneath the layers of these characters, of who they really are, until all the everyone becomes their own person, not identified by some title they were given. As layers of each character were slowly peeled back, the two groups of people almost switch labels as they are not who we though. The writing was exceptional. The style being in first person created that deeper connection between protagonist and reader, experiencing all the emotions through another’s eyes; the betrayal and guilt; stress and love. I also enjoyed the integration of modern technology into a book about magic and the like, though this goes without saying that there were some pitfalls, especially in relation to this. Something that irked me throughout the entire novel was the fact that even though there were modern day things such as cars and mobile phones running in the same world that magic existed; it seemed to be mentioned though quickly dismissed and as a reader I was very unclear as to what decade/ century the story was even set in, let alone the location. A big part of visualisation of the fictional world is a location, and the only description this book gave of a location can be summed up into 5 words: grove, cottage, woods, town, mansion. I think this was something that really wound me up as there was no way of placing where things were or what exactly a grove looked like, due to a lack of description. This book was very character and story driven that the world building was thrown to the side almost with the bare minimum details added in there to give the story a place to occur. Now that probably sounds harsh, but it really was the difference between a 4 and a 5 star rating for this book. Though that aside, I truly did enjoy this book and had a good time reading it as it was very different to what I had read before, and I also must keep in mind that my copy is an ARC, so there could be some change to the final copy. And yes I was feeling withdrawals after finishing it, so I scoured Goodreads for some ‘Goodnews’ and found this little Q&A below. I am so excited to hear this as I will be picking up the second book. The story and most importantly the characters were exceptional; I cannot stress that enough! And I really want to see them again. 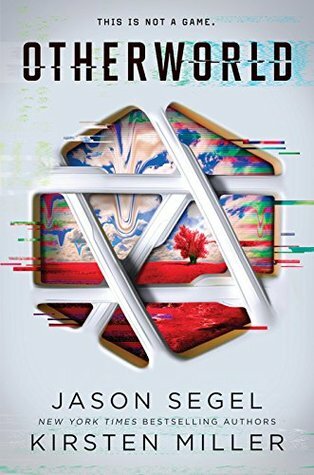 I rate this book a ★★★★✩ (4/5 stars) as the world was only partially built to accomodate the skilfully created characters and storyline, seeming as if the world building was low on the to-do list. Now that probably sounds harsh, but without all three components – storyline, characters, world building – it is quite difficult for the story to come cohesively together, causing many questions throughout the book. it really was the difference between a 4 and a 5 star rating.